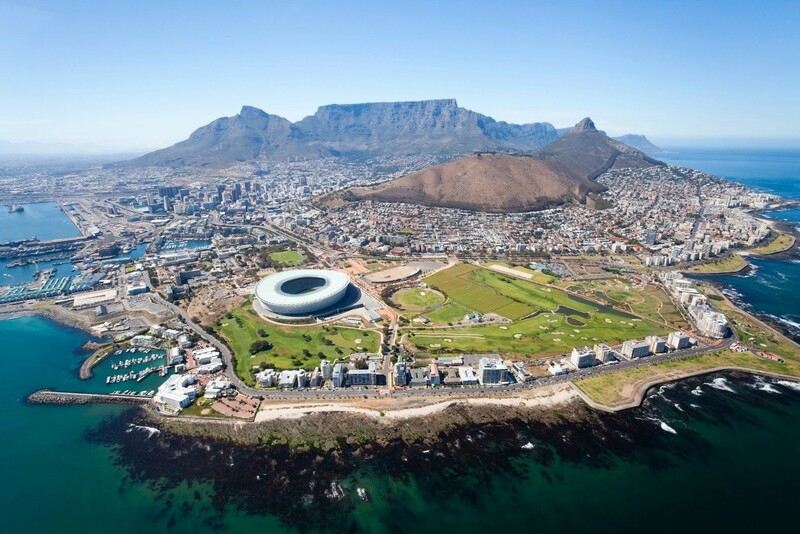 Located about 30 miles north of the Cape of Good Hope, Cape Town is the oldest city in SOUTH AFRICA. With its many gardens, parks, beaches, historical buildings, and mountains, it is considered one of the most beautiful cities in the world. Cape Town (known as Kaapstad in Afrikaans) was founded in 1652 as a supply station for Dutch ships sailing between Europe and Asia. The Dutch brought in slaves from Asia and MADAGASCAR. French and Dutch colonists settled there later. The British took the city in 1806 and abolished slavery, causing many Dutch settlers to leave Cape Town. These settlers trekked north in the 1830s and eventually founded the AFRIKANER REPUBLICS. In the late 1800s the discovery of diamonds and gold in the northern Transvaal led to the founding of JOHANNESBURG. The new town soon replaced Cape Town as the leading city in southern Africa. However, Cape Town remained the region’s principal port until the 1980s. It still boasts one of the world’s largest dry docks and offers offshore services for large tankers.